Just wanted to do a quick little post today to tell you about this planner. 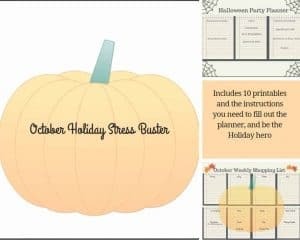 It has 10 different printable to help you keep your whole life on track during this very busy month, kicking off the Holidays. This planner is valued at 5.00 but I am giving it away this month to new subscribers to my newsletter. (Those already on my list got it first). If you love it, and I know you will plan on purchasing the November and December planners. Both are packed full of planning goodness. 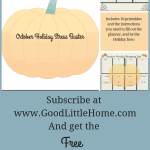 November has 25 pages of planners, and instructions. The December planner will lead you through the Christmas and New year Holidays like the hero you are. November and December will go on sale October 15th, and those who are subscribed will get a special sale price on the bundle of two months.